We have been working for several years on a TV series, entitled "The Dolphin People". We began principle filming in 2005, and have, to date, completed the first hour of a projected four-part series. Our Director/Producer/Cinematographer/Editor friend, Richard Mordaunt, has recently returned from a journey to New York, where he attended an international congress on documentary films, meeting with commissioning editors from many companies around the world. We await their responses, confident that we will secure a production deal to complete the series. 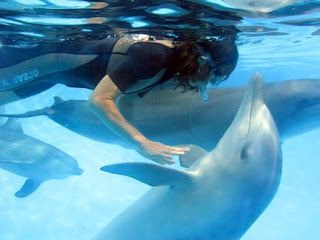 To obtain copies of "The Dolphin People" one-hour TV program on DVD, write to dolphin@dolphintale.com. Copies sell for $30 + $6 postage and handling. JAPAN has apparently agreed not to kill humpback whales during its current Antarctic hunt, the US ambassador to Tokyo said today, a move that could help ease criticism of its controversial whaling program. Japan's whaling fleet set sail last month with plans to catch more than 1000 whales, including 50 humpbacks, which are popular among whale-watchers for their distinctive silhouettes and acrobatic leaps, before returning to port early next year. Humpbacks were hunted to near extinction until the International Whaling Commission ordered their protection in 1966 and the planned hunt had sparked a loud outcry from activists. "I think we had an agreement ... between the United States and Japan that humpback whales would not be harvested, I think, until maybe the International Whaling Conference in June,'' US ambassador to Japan Thomas Schieffer said. Because of migration patterns, the delay would mean it would be "a while before they are at risk again,'' Mr Schieffer said. Australia yesterday announced that it would send a fisheries patrol ship to shadow Japan's whaling fleet near Antarctica and gather evidence for a possible international court challenge to halt the yearly hunt. Separately, Greenpeace sent a ship yesterday to try to stop the Japanese fleet hunting whales. Japan has long resisted pressure to stop what it calls scientific whaling, insisting that whaling is a cherished cultural tradition. "Japan's whaling is being conducted in line with international treaties and for the purpose of scientific research. We would like to win the understanding of others,'' a Japanese foreign ministry spokesman said in Tokyo. The "cherished cultural tradition" mentioned should be seen like the "cherished tradition" of early English (Saxon) people*, the people of Easter Island**, the native people of the California coast***, who were also dolphin and whale eaters. It proved unsustainable in each case, wreaking havoc on local ecologies. With the extremely high levels of toxic chemicals now found in the meat of dolphins and whales (they are at the top of the chain of "bio-accumulation" and concentrate the toxins in their blubber and the milk of nursing mothers, passing it on from generation to generation, each time gaining in concentrated killing power) the tradition of "cetaceans on the menu" is now deadly. It is time to end this "tradition". Since the actual tradition of the Japanese whalers and dolphin hunters was to hunt and kill and eat the cetaceans from the waters around Japan (which still goes on in the tens of thousands each year, now), what does killing the whales of the Southern Ocean Sanctuary have to do with tradition? * "Continuing study of the huge middle and late-Saxon vertebrate assemblage from Flixborough, North Lincolnshire, has shown that the inhabitants of this important settlement were consuming whale and dolphin meat. More than twenty fragments of these marine mammals have been recovered from only 10% of the material so far recorded. These animals may have been caught at sea or, more likely, in the nearby Humber estuary where they may have been stranded. It is possible that they represent trade with the nearby east coast fisheries, although the almost negligible quantities of marine fish from the site appear not to support this theory. More specific identification of the species of whale and dolphin will provide valuable information about the past distribution of cetaceans since all are rare or uncommon visitors to these waters today." ** "During the later centuries of the Mayan civilization, a new society was evolving on faraway Easter Island, some 166 square kilometers of land in the South Pacific roughly 3,200 kilometers west of South America and 2,200 kilometers from Pitcairn Island, the nearest habitation. Settled around ad 400, this civilization flourished on a volcanic island with rich soils and lush vegetation, including trees that grew 25 meters tall with trunks 2 meters in diameter. Archeological records indicate that the islanders ate mainly seafood, principally dolphins—a mammal that could only be caught by harpoon from large sea-going canoes. The Easter Island society flourished for several centuries, reaching an estimated population of 20,000. As its human numbers gradually increased, tree cutting exceeded the sustainable yield of forests. Eventually the large trees that were needed to build the sturdy canoes disappeared, depriving islanders of access to the dolphins and dramatically shrinking their food supply. The archeological record shows that at some point human bones became intermingled with the dolphin bones, suggesting a desperate society that had resorted to cannibalism. Today the island has fewer than 4,000 residents." 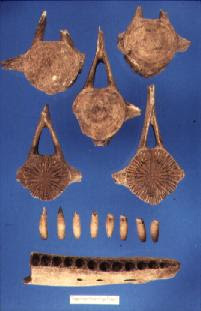 Synthesis of faunal collections from several archaeological sites on the three southernmost California Channel Islands and one in the Cape Region of Baja California reveals a distinctive maritime adaptation more heavily reliant on the capture of pelagic dolphins than on near-shore pinnipeds. Previous reports from other Southern California coastal sites suggest that dolphin hunting may have occurred there but to a lesser extent. While these findings may represent localized adaptations to special conditions on these islands and the Cape Region, they call for reassessment of the conventionally held concept that pinnipeds were invariably the primary mammalian food resource for coastal peoples. Evidence of the intensive use of small cetaceans is antithetical to the accepted models of maritime optimal foraging which assume that shore-based or near-shore marine mammals (i.e., pinnipeds) would be the highest-ranked prey because they were readily encountered and captured. 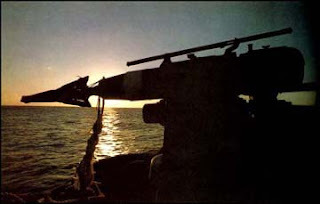 While methods of dolphin hunting remain archaeologically invisible, several island cultures in which dolphin were intensively exploited by people using primitive watercraft and little or no weaponry are presented as possible analogs to a prehistoric Southern California dolphin-hunting technique. These findings also indicate that dolphin hunting was probably a cooperative endeavor among various members of the prehistoric community." We had a woman attend who is a therapist, whose specialty is Cranial-Sacral Therapy. Her skill in her work -- using sensitivity to detect and redirect the pulses of energy that move up and down our spines -- was evident in her approach to the dolphins. Another guest was a "bird lady". She traveled to Coffs Harbour from western Victoria with her birds. She loves her birds, and her sensitive understanding of them was expressed in her hands -- and they were fascinating to Bella. She approached the woman repeatedly, requesting contact, rubbing against her, spinning around and returning for more touch, more strokes, and especially, having her tail rubbed and massaged. 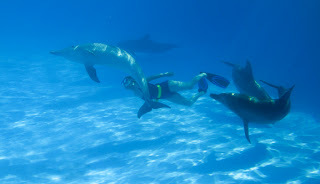 Our time among the dolphins -- swimming, diving, dreaming, listening and learning -- is about to take a short break. We will be away from them for about six weeks, during the busy season of the year, when they entertain thousands of visitors. We, and the PPP staff, are careful to not ask too much of them. The dolphins are very busy keeping so many people happy at this time of year. 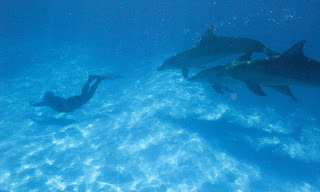 Our Dolphin EDventures Wellness Program will recommence in February. 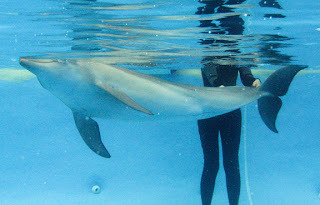 For details, go to www.dolphintale.com.